I barely know anything about basketball. Seriously. Please don't hate me, but I was never a fan of the sport. It would be difficult for anyone to convince me to watch a game. Having said that, my recent news feed on Facebook has been all about Gilas Pilipinas and the FIBA Basketball World Cup 2014 hosted by Spain and I felt disconnected because I couldn't relate. So I did my homework to know what was the fuzz about. I learned that the Philippines is once again represented in this years FIBA Basketball World Cup after 60 years! The last time we participated was last 1954 and we won the bronze medal. I suddenly felt bad that I wasn't even able to watch a single game of Team Philippines or more popularly known as Gilas Pilipinas. Even though I am not fond of basketball, it would have been great to show some support for the players of Gilas. We didn't make it to the second round. We had a 1-4 score. 1 win and 4 loses. 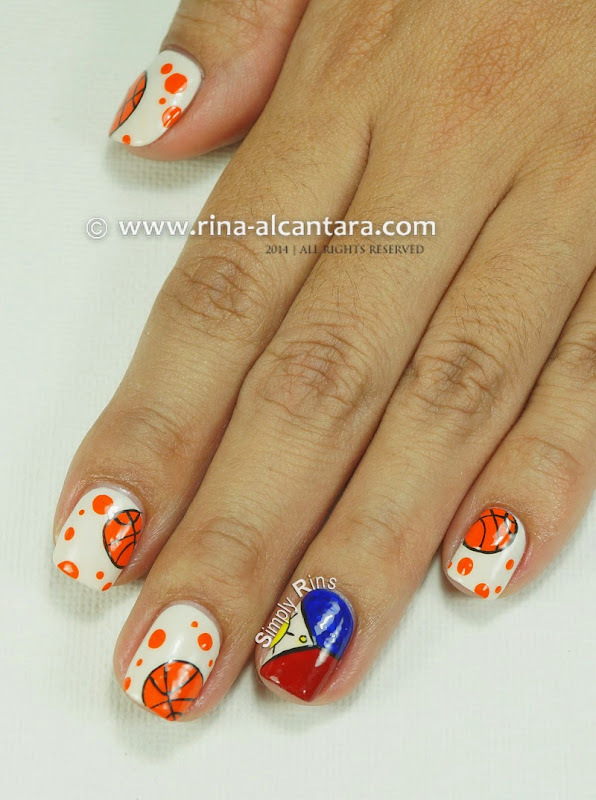 The team is already back here in Manila, Philippines as I write this and I know the chances of them seeing this basketball nail art is almost impossible. But regardless that this show of support is late (sorry), I still did it because I feel proud for them. My idea for the nail art is straight-forward. 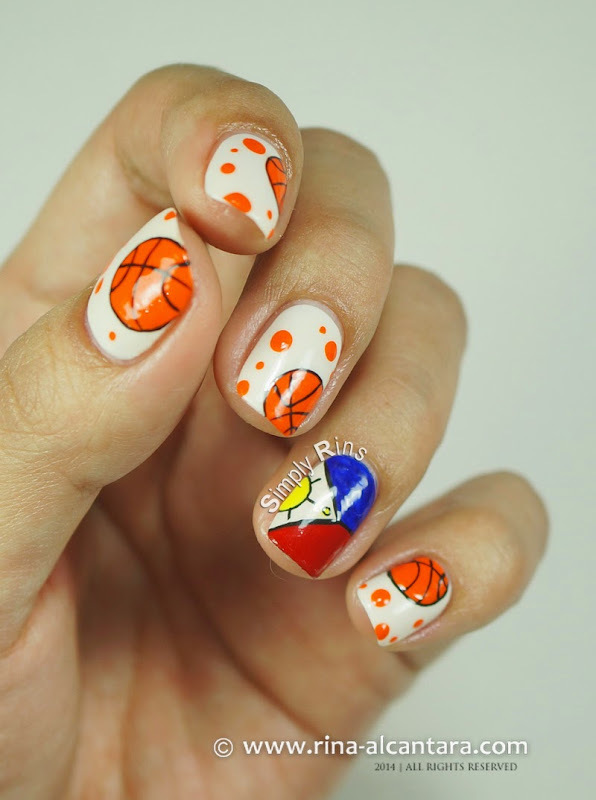 Paint the Philippine flag and fill my nails with basketballs. I used an ivory nail polish for my base color, acrylic paints, a dotting tool, striping and detail nail art brushes. 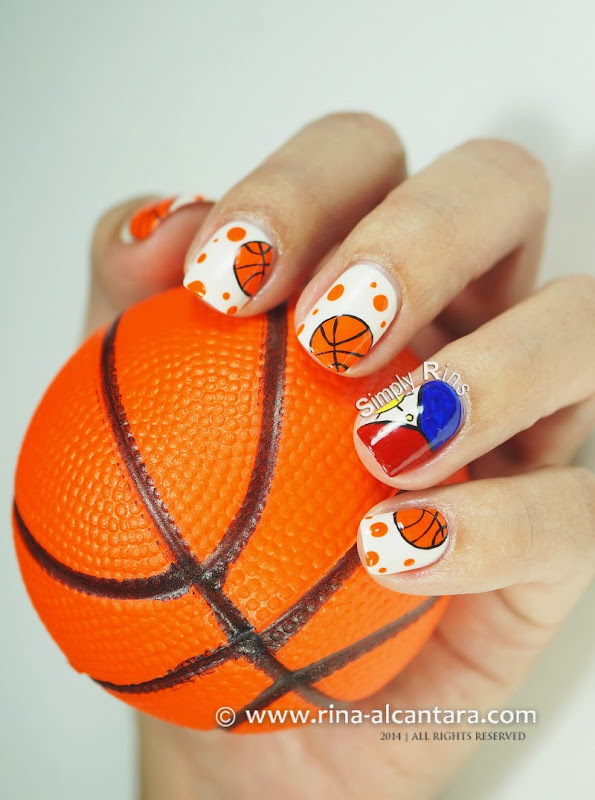 I drew the flag on my ring finger to serve as accent nails and painted a basketball on the other nails. I then added a few orange dots for further details. 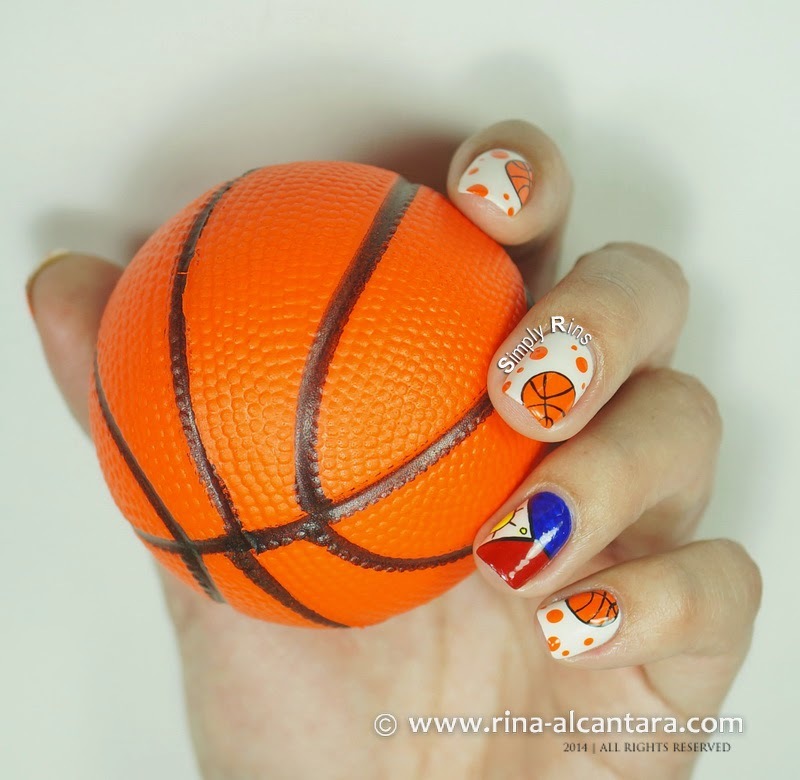 I certainly had fun doing this freehand nail art and had more fun doing the photo shoot with my basketball stress ball. Important: Please note that the sun and stars are partially painted. It is truly difficult to paint on a very small canvas. The sun should have 8 rays and there should be 3 stars. Please also excuse the fact that I painted the stars as dots. They are meant to be stars. My teeny-weeny nail art brush cannot draw a star that small. There are many discussions all over social media channels about feat (or not to some) of Gilas Pilipinas in this years FIBA World Cup. Several news came out that the team made a mark and played well during their 5 games. I believe that after I saw the scores and read the game reviews. And like how Pinoys are, we are happy with the team's accomplishments regardless of the results. However, it's sad to read that there are people who criticizes our joy for Gilas Pilipinas. They say that 1 win is not equivalent to the praise that the people are giving to Team Philippines. Isn't being a participant enough to be happy about? But I guess it's really not important what others think. It was a good comeback and they gave the world a great game. That is more than enough for a non-fan like myself and apparently, for a lot of Filipinos as well. 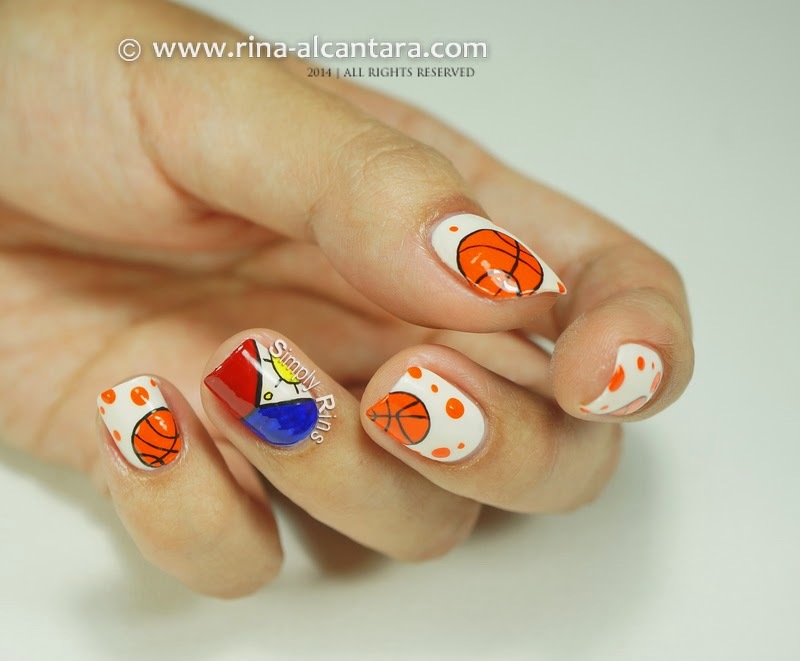 So perhaps this basketball nail art for Gilas Pilipinas is too late for cheering them on their games. But it is not too late to let them know that their efforts were appreciated. 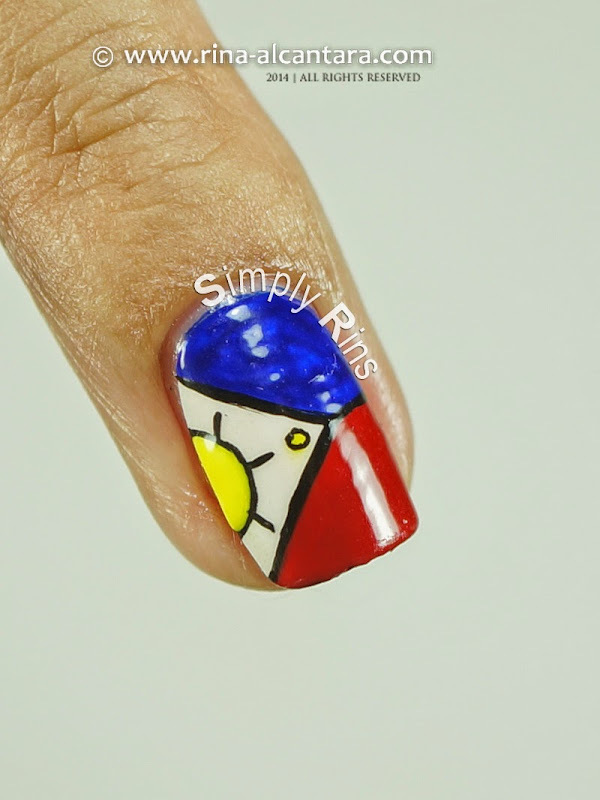 We are able to given tips for making art in your nail. It is possible website for get modern and newer art. It is having more and more responsibilities for your nail art. That is some nicely done nail art! I love how neatly it is done. The white base really brings out the orange color of the basketballs!